India is all set for celebrating its 71st Independence Day and like always, elaborate festivities and celebrations are being planned for the day. Over the past 70years, India has excelled in several fields far beyond the expectations of anyone. However, there are still various sectors in which the country is lagging and it is only after these gaps are filled that we as Indians can truly enjoy the spirit of Independence. Over the past couple of years, the Indian masses, especially the youngsters across the country have shown great interest in its development and growth. This has helped in bringing to fore several issues that have been hindering the progress of this great nation. It has also created a new hope for a better future where people from all sections of society will truly enjoy their independence in every respect. In addition to the celebrations, every Indian citizen needs to do some introspection about how they can enhance the economic and intellectual growth of India. 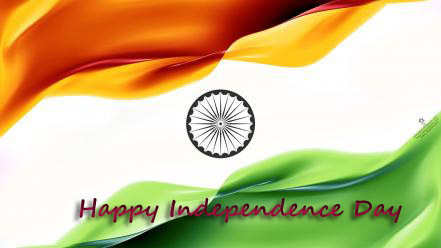 As we celebrate another year of freedom, let us come together and join hands to make this country a global superpower. It is only through the commitment of us citizens that this dream can be realized and perhaps the best way to pay our tributes to the countless martyrs who sacrificed their lives to make India free. Let us take a pledge to eradicate the evils of corruption, poverty, inequality and injustice and illiteracy from every corner of our nation. A country is what its citizens make it and on this 70th independence day, let us all make sure that we work towards make India a land of happiness, peace and prosperity. As the dawn of 15th August ushers in a new year of hope and freedom, let us make a move towards creating an India like its brave sons wanted it to be!